By contrast when the first person was killed from a rocket launched into the Saudi capital seven months ago, Chrystia Freeland stated, “Canada strongly condemns the ballistic missile attacks launched by Houthi rebels on Sunday, against four towns and cities in Saudi Arabia, including Riyadh’s international airport. The deliberate targeting of civilians is unacceptable.” In her release, Canada’s foreign minister also accepted the monarchy’s justification for waging war. “There is a real risk of escalation if these kinds of attacks by Houthi rebels continue and if Iran keeps supplying weapons to the Houthis”, Freeland added. Graph: On top of the $700 billion Pentagon budget for 2018, U.S. weapons sales abroad are big business. Among the top recipients of American weapons are Saudi Arabia, China, Japan and South Korea. The Saudis are currently funding a dirty war in Yemen that puts the lives of millions of human beings at risk. Sources: tradingeconomics.com, SIPRI. Is something big coming related to heightened tensions either with Russia, Iran, or Syria? It appears the U.S. military is publicizing a “show of force” of sorts, but not exactly in the conventional way of deploying tanks, ships, and aircraft. Some observers equivocate as to whether these destructive acts stem from purposeful targeting or simply the negligent use of sophisticated Western weapons technology, but the frequency with which non-combatants, civilian production capacity, and food supply chains continue to be struck appear deliberate. To assume these attacks are anything but calculated is to stretch the bounds of reasonableness: within the first day of operations in Hodeidah, a Doctors Without Borders treatment facility suffered a coalition missile strike even though the GPS coordinates of the facility had been providedtwelve times and the roof had clear markings to distinguish the building for medical purposes. (ANTIWAR.COM) — Three years into the 2015 Saudi-led invasion of Yemen, untold thousands are dead. Northern Yemen has been through the worst cholera outbreak in human history, and civilians continue to die in bunches from Saudi airstrikes against the region. To call Yemen war-torn is really putting it mildly. Yemen is in a disastrous state, with a Saudi-led naval blockade threatening to starve millions. 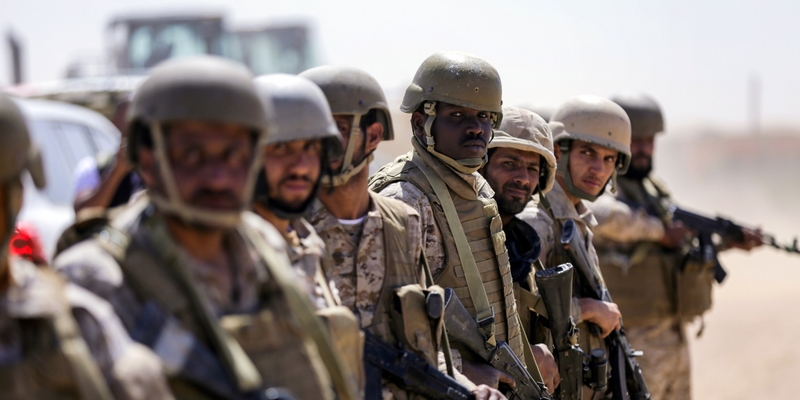 If there’s one thing Yemen has no shortage of, however, it’s weapons, with the US ensuring a massive supply continues to pour into the hands of Saudi and Emirati forces. US arms sales are themselves at a record high during this war, in no small part because of purchases by the United Arab Emirates, and particularly by the Saudis, who are dropping US bombs on northern Yemen as fast as they can buy them. And while bombs and warplanes are the big dollar amount of sales, they also include large numbers of US-made automatic rifles and small arms ammunition. The UAE is particular bought $60 million in small arms in 2016 alone, both for their own direct involvement in Yemen and to arm their allied factions on the ground. The Saudis bought another $11 million. Yemen isn’t a place to send weaponry that you want well-documented and carefully tracked, either. The Pentagon has confirmed they can’t account for about $500 million more in weapons that they’d given to the Hadi government up to 2015. So the Saudi and UAE-bought small arms are being sent to Yemen to replace those “lost” weapons, but it’s not as if those weapons literally disappeared. Rather, they’re just not in the hands of officials, or at least not in any above-board way. That’s virtually certain to be the fate of this new influx as well. A Yemeni man inspects the damage caused by an alleged Saudi-led air strike in Sanaa, Yemen, 04 February 2018. Picture by Hani Al-Ansi/DPA/PA Images. All rights reserved. Despite Sweden leading a few special UN sessions in response to the acute humanitarian crisis in Yemen, it still has not demonstrated a political appetite to stop its arms sales to the most active warring parties in the Yemen war: Saudi Arabia and the United Arab Emirates. The Swedish parliament is due to discussits governmental policies on Swedish arms exports, on the 28th of February – and anti-militarization Swedish groups are demanding that Sweden halts all its arms sales to both Saudi Arabia and the United Arab Emirates. In the course of the ongoing war in Yemen human rights groups have documented serious attacks committed by both the Saudi-led coalition and the Houthis against civilian sites. These attacks appear to have violated international humanitarian law and may constitute war crimes. While the Houthis grew their military power ever since they overtook Sana’a on September 2014, with the support of Ali Abdullah Saleh, the Saudi-led coalition’s military activities in Yemen were only possible because of their weapon supplies from several western countries – including Sweden. The Yemen Data Project reveals that since 2015, nearly one-third of Saudi air raids hit non-military sites; such as schools, hospitals, weddings, funerals among many other civilian targets. Human Rights Watch and Amnesty International have both documented dozens of unlawful coalition airstrikes, some of which may amount to war crimes. He also accused Ankara’s allies of dishonesty when they say that they do not provide weapons for “terrorists,”referring to Kurdish-linked YPG forces. “Anyone who opposes Turkey’s operation in northern Syria’s Afrin region is siding with terrorists and will be treated accordingly,” Turkish Foreign Minister Mevlut Cavusoglu said on Sunday. “We hope France will support Turkey’s operation against terrorists in Syria,” the minister added in reference to what Turkey has dubbed ‘Operation Olive Branch’. After the Turkish military invaded northwest Syria over the weekend in an operation that President Recep Tayyip Erdoğan described as cleaning out Kurdish “terror nests”, France called for an emergency meeting of the United Nations Security Council. FM Çavuşoğlu’s words were given in warning to French politicians who say they will take up the issue of Turkish aggression at the UN. France has urged Turkey to exercise restraint in its air and land assault targeting US-backed Kurdish forces in Afrin, near Turkey’s border. These documents also say that it’s rare for a foreign affairs minister to personally sign off on export permits, but that this is an exception because the deal is so high profile — and worth so much money. The deal with Saudi Arabia was struck by Stephen Harper’s government, and when it was announced the Conservatives used the opportunity to tout the thousands of jobs it would create and sustain in southern Ontario. But since the sale of vehicles by General Dynamics Land Systems was announced, questions have emerged over Saudi Arabia’s human rights record. 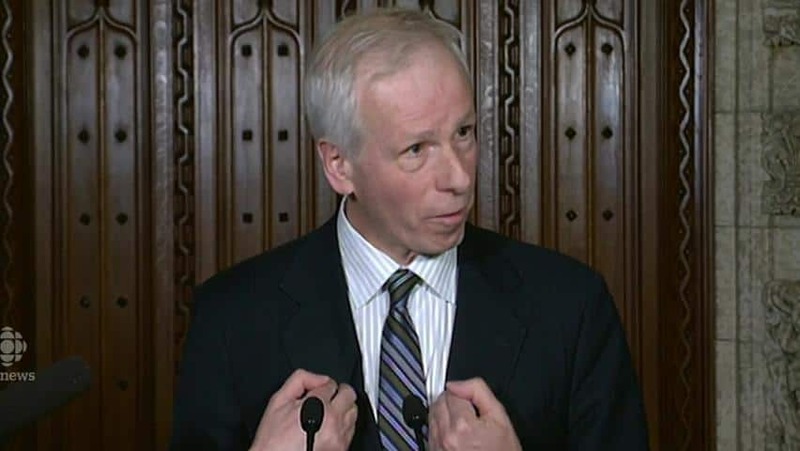 The document goes on to say that Canadian officials “engage regularly with Saudi officials” when required to raise human rights issues of concern while at the same time describing Canada’s military alliance with the kingdom as having been “cemented” during the 1991 Persian Gulf War. “Saudi Arabia is a key military ally supporting international efforts to counter ISIS in Iraq and Syria as well as countering instability in Yemen,” the documents says.